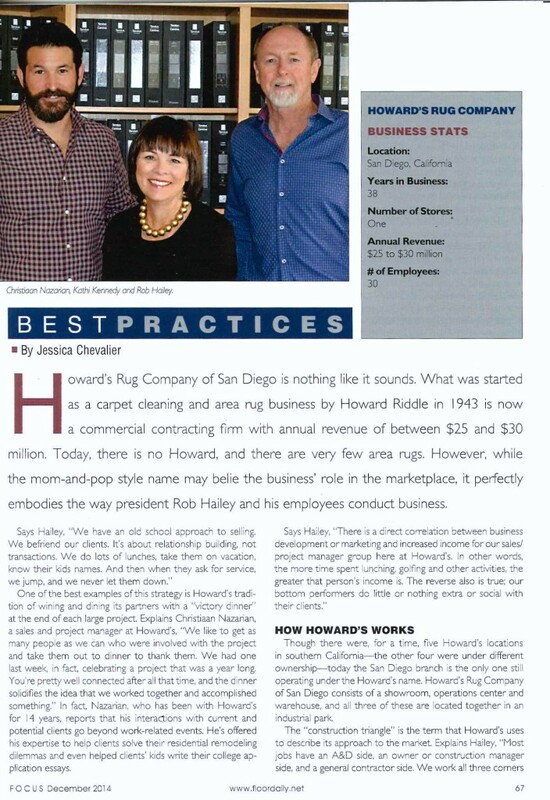 Howard’s Rug Company has worked on more San Diego landmarks, from hospitals to hotels, corporate offices to laboratories, schools and stadiums, than anyone else in our industry. We commit ourselves everyday to the quality service our customers deserve and strive to be the very best in the office and in the field. At Howard’s Rug Company we have a complete team of experts including sales staff, product specifiers, floor covering specialists and support staff ready to assist and accommodate the ever-changing demand for quality flooring. 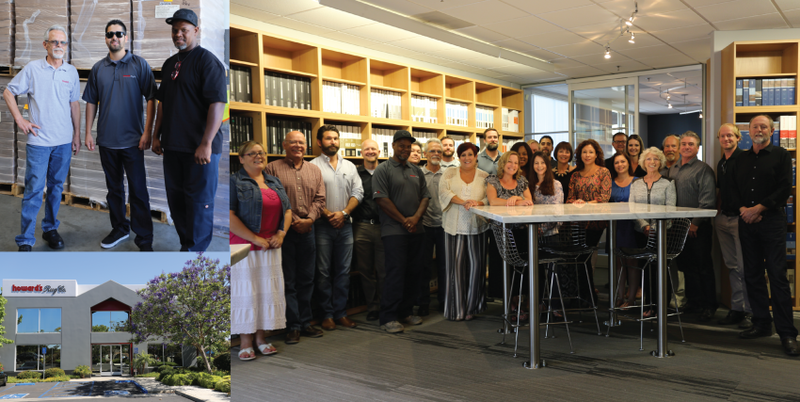 Our best asset is the people who serve our customers, and are dedicated to this vision. We service the greater San Diego area, Riverside and Imperial counties. We have relationships with the people and properties in our city; the manufacturers, distributors and facility persons who serve them. We provide, install and understand all types of floor covering from carpet, vinyl to tile and stone, epoxy, access flooring and concrete moisture suppression. 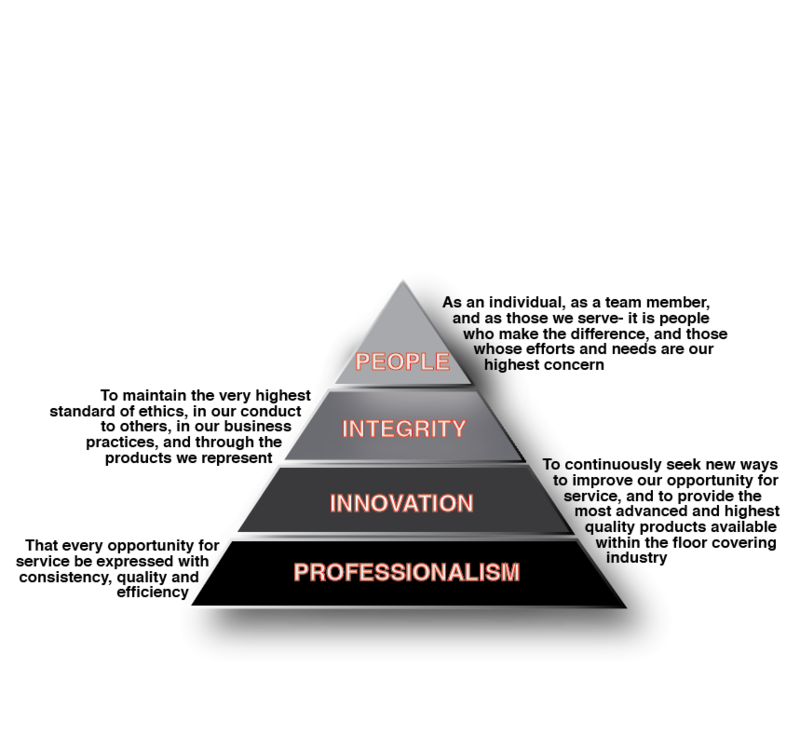 We have cultivated our expertise for more than 70 years, on tens of thousands of successful projects. We dedicate time to training and continuing education on new materials and techniques as well as potential hazards. Each day, we employ this knowledge in our craft.